The city of Melbourne is well laid out in a grid like fashion which makes getting around the city relatively easy. 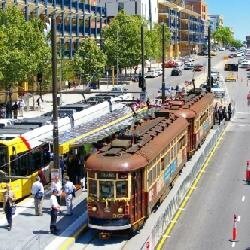 Most of the major attractions in the city are within easy walking distance, or you can take one of the many city buses or trams on Melbourne's famous tram network. 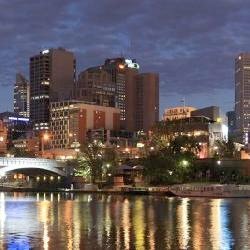 As a large a vibrant city Melbourne has a lot of different accommodation options available which will suit all types of travellers including corporate executives, holiday makers, relocations, romantic getaways, families and people attending any of the major sporting events that Melbourne is famous for. Also around the Melbourne city centre are precincts like Southbank, Docklands and East Melbourne which have a number of hotels and apartments that provide quality accommodation that is only a short distance from the Melbourne CBD. Sydney is the most famous capital city in Australia and is known throughout the world for its picturesque harbour, the iconic Opera House and of course the Sydney Harbour Bridge. Travellers you will find that some of the high rise hotels and apartments in the city of Sydney have spectacular views across what is arguably one of the most beautiful harbour's in the world. Being surrounded by water means that Sydney is able to operate a first rate ferry sevice to not only get people around the city but it also provides a great sight seeing adventure for tourists. 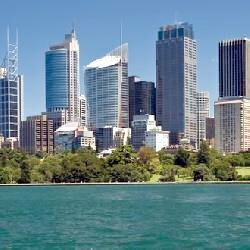 Some other great places to look for accommodation that is close to the Sydney city centre include Darling Harbour, Kings Cross, Potts Point and even North Sydney, which is on the other side of the Harbour Bridge. The Brisbane city is ideally located on the banks of the beautiful Brisbane River and is a thriving metropolis that is blessed with warm and sunny weather. Throughout the city there are lots of corporate offices, government buildings and shopping centres, as well as parkland areas around the edge of the CBD. Travellers who are looking to stay in Brisbane will be able to find a number of different city properties ranging from luxury 5 star hotels and family sized apartments right through to budget motels and affordable self contained accommodation. Close by to the Brisbane city centre are the suburbs of Spring Hill, South Bank, South Brisbane and Kangaroo Point which also have lots of accommodation options available within close proximity to the CBD. As the capital city of Western Australia the city of Perth includes the buildings of many businesses including the offices of many different mining companies. The beautiful Swan River and expansive Kings Park on the edge of the city provide a lovely backdrop to this easy going and relaxed city. 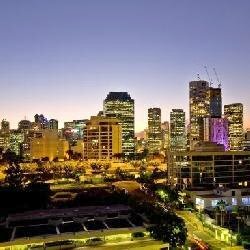 Guests needing to stay in Perth can choose from a number of different city hotels and serviced apartments that cater to the needs of everyone including families relocating to Perth, couples on holidays or business travellers oding work in and around the Perth region. 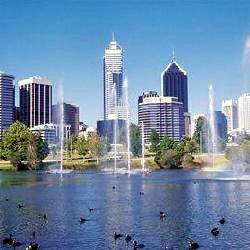 Travellers may also want to stay in some of the suburbs surrounding the Perth city such as Northbridge, East Perth and South Perth, which provide easy access to the CBD but without all the noise. The South Australian capital city of Adelaide has a grid-like CBD that is well spread out, relatively uncluttered and very easy to get around. All around the city centre are lots of parklands, sporting ovals and gardens including the River Torrens, Adelaide Oval and the Botanic gardens. 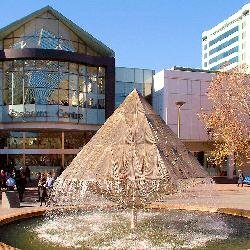 A lot of the major city attractions in Adelaide are congregated on the northern fringe of the city centre, although there are a number of different places of interest throughout the city centre. The number of city accommodation properties in Adelaide is extensive and they cater for everything from overnight romantic getaways through to extended holidays and business trips. Many people also use the Adelaide city accommodation as a base from which to explore the nearby Barossa Valley and Mclaren Vale wine regions. 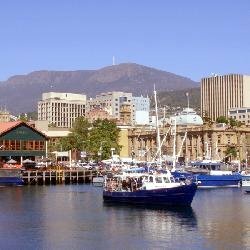 The city of Hobart prides itself on being a laid back and very hospitable place to stay, with friendly local people, great natural attractions and lots to see and do. The city centre and particularly the waterfront area of Hobart are especially popular with many delightful places to eat and nightlife entertainment. The historic Salamanca precinct on the edge of the Hobart city centra is also popular because of the thriving market that is held there every Saturday morning. The Hobart city itself has a lot of different places to stay ranging from budget motels and family apartments right through to 5 star self contained suites and luxury hotels. This means that there is an accommodation to suit every type of traveller and every budget. The Northern Territory capital city of Darwin is relatively spacious and spread out nicely, which allows travellers to get around the city in an easy and efficient manner. 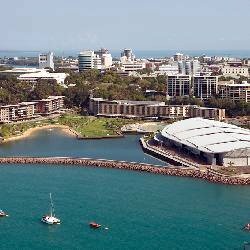 This tropical city in Australia's Top End attracts thousands of visitors every year for both business and pleasure. Many holiday makers staying in the wide variety of Darwin city accommodation are using it as a base from which to explore the world famous Kakadu National Park and Litchfield National Park. Reflecting the fact that many visitors stay in Darwin for an extended period of time the city of Darwin has lots of self contained apartment properties. There are also a number of luxury and budget hotels for people wanting to stay for shorter periods of time. As you would expect from the capital city of Australia Canberra has a lot of government buildings and department offices. This means that Canberra and the city centre are very popular places to stay for public servants and business travellers, as well as tourists looking to experience all that this well planned, modern city has to offer. For this reason there are many different city accommodation options available in Canberra including self contained apartments for long term stays, luxury hotel suites and more affordable motels for the budget conscious traveller. Another good thing about staying in Canberra is that it does not take too long to get around the city in a car. This means that even if you stay in an accommodation outside the city centre you will still be assured of easy access to the CBD.